I had for breakfast 3 bran toasts, 1 tbsp of low fat labneh, 1 slice of turkey and cheese! And definitely didn’t forget to drink my glass of skimmed milk! 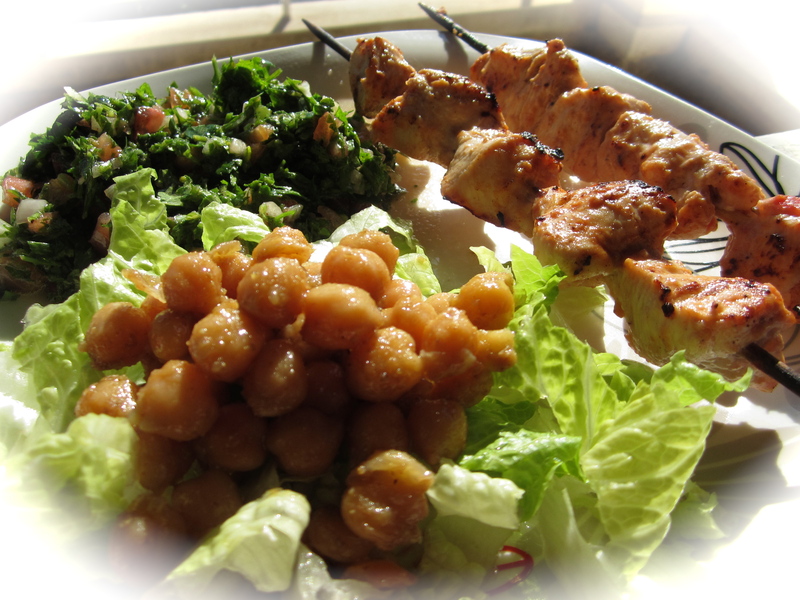 I had for lunch tabbouleh, 5 tbsp of chickpeas with cumin, lettuce and olive oil and two grilled chicken skewers. 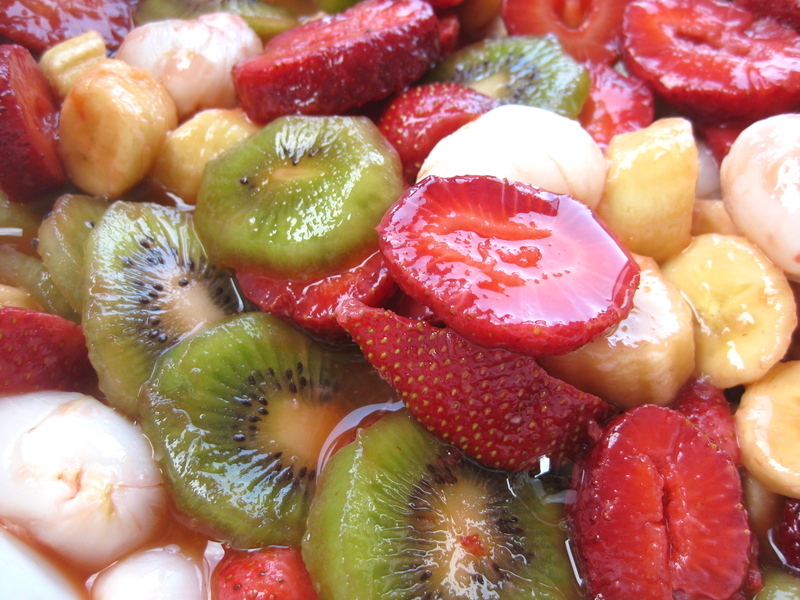 As an afternoon snack i had a bowl of fresh fruits salad! And for dinner i had a salmon salad with a light mayo-soya dressing! 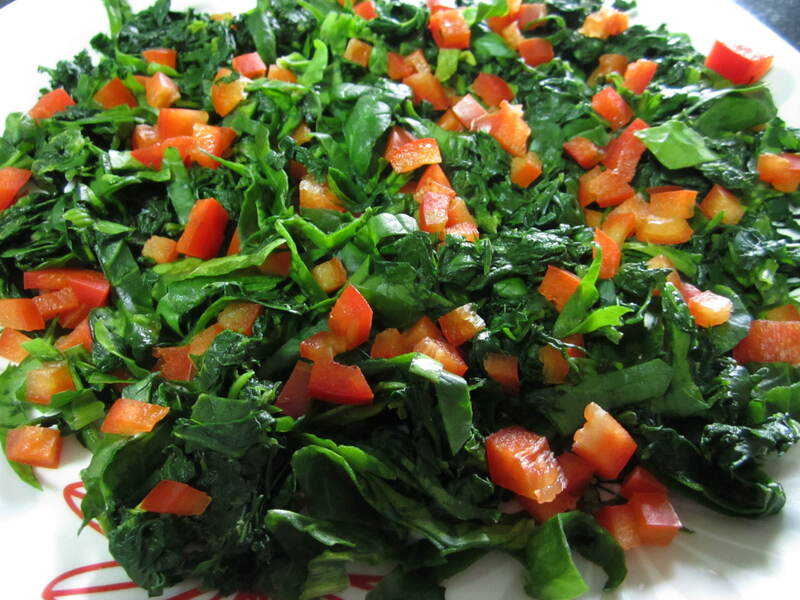 I had for dinner a salad made of cooked spinach leaves with diced red peppers lemon juice and a tablespoon of olive oil!